This is not true. Due to poor alignment and mechanical function, it is more likely that soft tissues will be damaged from over-stress and repetitive strain. When your feet are aligned properly, they are able to support proper function that reduces the impact on soft tissues and even allows them to gain strength due to better mechanics. Orthotics are used to support normal function rather than to “brace” abnormal movements. Many people believe that only seniors need to wear orthotics. When we age, our ligaments and tendons lose strength and the ability to support proper function. This can be true of people of any age, depending on the amount of flexibility in the feet and ankles. If your feet have too much flexibility, then they are prone to overuse injuries and you may benefit from the support of custom orthotics. 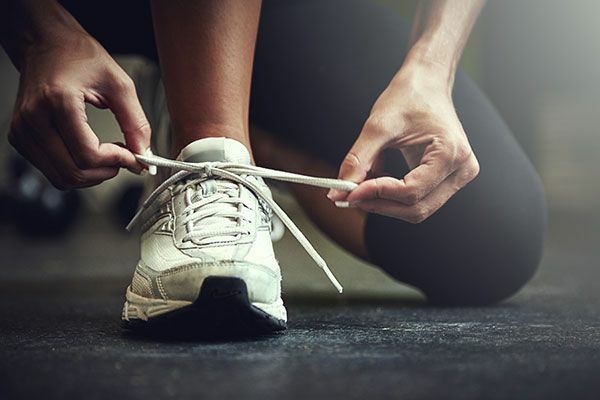 It is true that athletes (whether recreational or competitive) put significantly more stress on their bodies and can often benefit from orthotics to provide better alignment and function to help prevent overuse injuries. But they are not the only ones! Let’s put this into context: According to the Heart and Stroke Foundation of Canada, the average person should strive to take 10,000 steps a day. This is the equivalent of just over 8 km a day. Currently, the average Canadian male takes 9500 steps and the average female just under 8500 steps. Even below the 10K recommendation, the average person still covers many km a day. When you consider an average runner training for a 10km race will average about 15 km a week of running (just over 2 km a day), the daily walking distance far exceeds this. Another consideration is the amount of time many people spend standing all day. This can vary depending on your job, but more time spent standing will add more strain to the ligaments and tendons of the feet and ankles. This can result in pain caused by increased stress.